Phase 2 of the eight-year Partnership for Forestry and Fisheries (PaFF) was launched during a workshop in August attended by 140 people involved in the project. The workshop reflected on the achievements, lessons learned and challenges of phase 1 and sought stronger collaboration of relevant stakeholders at both national and sub-national levels. The overall goal of the PaFF project, developed as three-phases by a coalition of NGOs starting in November 2014, is to increase incomes and improve local and indigenous population resilience to economic and natural shocks. This is done by implementing sustainable community-based livelihood approach that protects eco-system and reduce pressure on the community’s natural resources. The success of PaFF phase 1 was celebrated with the announcement of key outcomes such as the establishment of 15 Community Forestry’s (CF’s), 15 Community Fisheries (CFis), and the establishment of 18 community-based enterprises commercializing non-timber forest products (NTFPs). Additionally, provincial level capacities for planning and coordination between sectors and organization were strengthened, enhancing the overall success of the project. 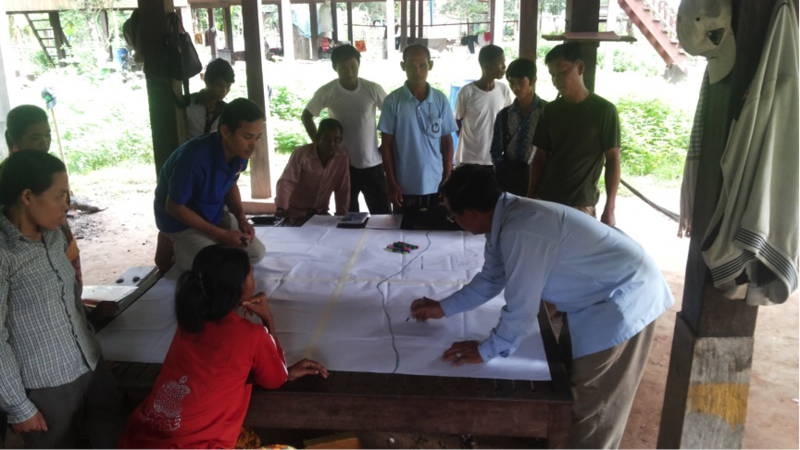 PaFF phase 2 seeks to build on the experiences and lessons learnt from phase 1 to scale up reach and impact in Stung Treng and Kratie province as well as expanding into two more provinces, Preah Vihear and Kampong Thom, with the potential to reach 135,000 people as direct beneficiaries. “PaFF will respond to the management and delivery of forestry and fishery initiatives, which is very important to sustainable management of natural resources and contributes to alleviating poverty in communities facing challenges that we must work together to tackle”, said H.E Pheav Sovuthy. Representatives from the CFi, CF, and Community-Based Eco-Tourism (CBET) voiced their views and reflection about PaFF phase 1. Mr. Heng Narong representing CFi in Koh Preah commune noted how PaFF project has helped build capacity and structure in the commune, and that those involved in the project have become role models in the community against illegal activities. The launch of PaFF phase 2 was a great success and WWF-Cambodia looks forward to further achievements and collaboration with its project partners. Community meeting to discuss innovative community-based project.